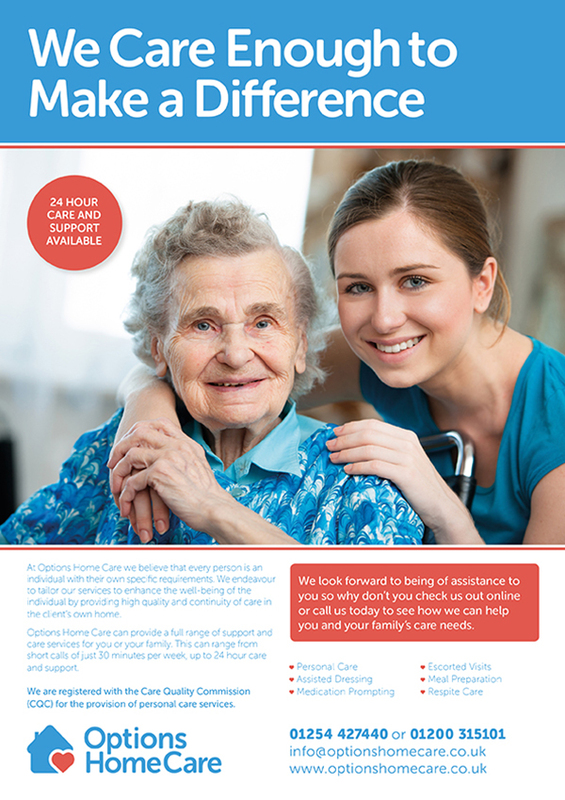 Options Home Care approached Reform Creative for help with design and marketing. They had done a lot of their own work, and put care and effort into it, but recognised their limitations in this area. 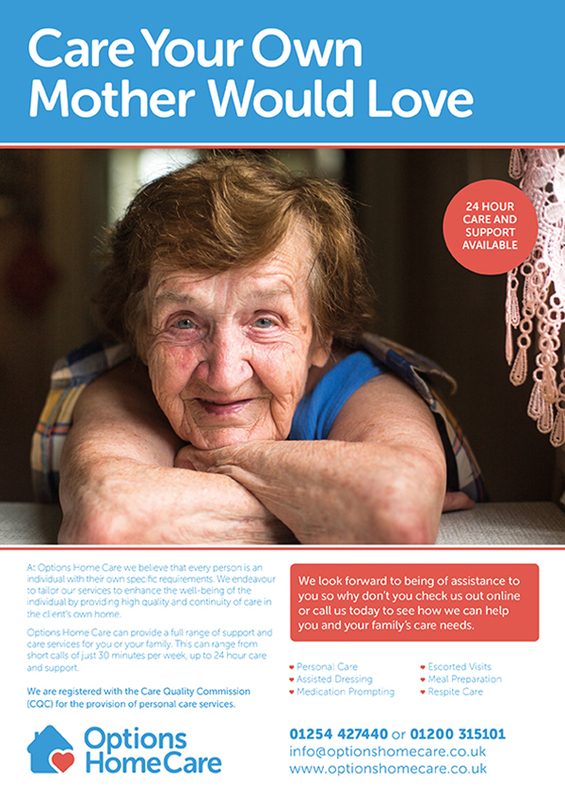 Options is a new business providing quality, affordable home care to the private sector. Their services include: personal care; assisted dressing; medication prompting; meal preparation; escorted visits and respite care. Their ethos is to become like an extended family to their clients, with an holistic approach, reasonable visit lengths, friendly payment options and a sense of gently encouraging their clients, where possible, to be active in their own wellbeing. The existing Options business card, and branding, did not accurately reflect their status as a professional but caring business. They had a limited budget in which to make any changes. Given the limited budget, we used the logo as a starting point. It needed to fit in with what the business was about, so recognisably suited to the care sector, but without looking overly corporate, in order to reflect the very personalised service they were offering. With time left over, we then applied this to a new business card design. Options had originally planned to arrange their own advertising, but based on the work we’d now done for them, they commissioned Reform Creative for some more work. Using their original web content as source material, and working in close partnership with them, we came up with two distinct advertisements. We applied the new branding concepts to the look of the ads, including a new colour palette and font. The results were, we think, very successful, and an object lesson in how good design and marketing can arise from quite restricted circumstances in terms of budget. The key for us was in being able to gain our client’s trust and to work with them to achieve the best possible results.